One of these things is not like the other. Hint: It’s Shang Chi. But Claremont finds a plausible way to include him in this four-issue arc. Viper and friends then take over the SHIELD Helicarrier. That thing seems to be constantly invaded and/or crashing. How is it Congress continues to fund SHIELD??? At least here it makes a bit of sense–Spider-Man does have a thing for redheads. In order to get onboard the Helicarrier and save SHIELD, Spider-Man webs himself up a web-hang glider. I really hate it when Spider-Man can make anything out of his webbing. If I want stupid things-made-out-of-nothing, I’ll read Green Lantern. Viper becomes a big part of Spider-Woman’s comic, once it starts getting to be actually good (the early SW issues are pretty bad), so this seems like a good time to talk about the art. 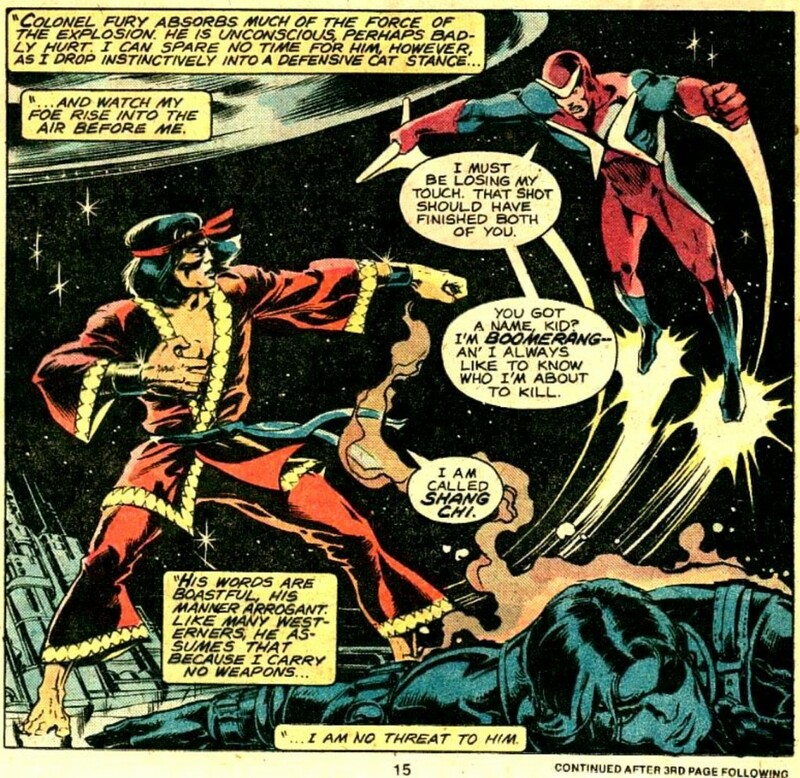 Sal Buscema is the penciler, but Steve Leialoha provides inks and, like Klaus Janson, he’s a very distinct artist with a heavy hand, making Buscema’s pencils almost unrecognizable as Sal’s work. I like Steve’s style, and found it perfectly suited when he took over on Spider-Woman. THE EVOLUTION OF MODOK PART 16: Silly Superheroes, MODOKs Are For Kids!